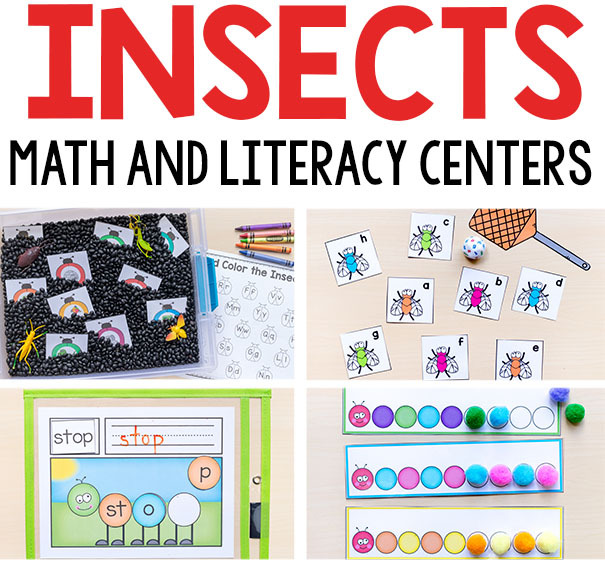 These insect theme printables are all fun and engaging activities for your math and literacy centers this spring. 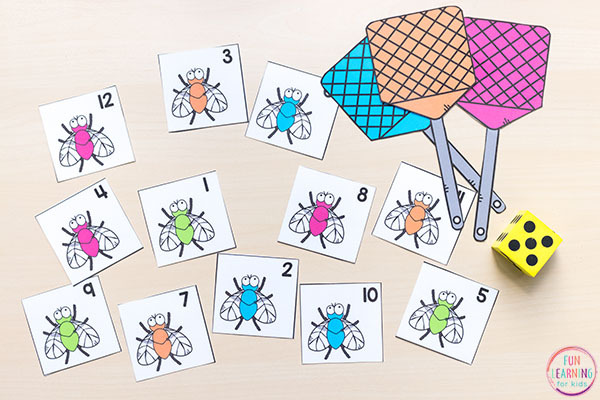 There are 11 insect math activities, 8 insect literacy activities, an insect craft, visual discrimination puzzles and a caterpillar building cards. As you can tell, it is jam-packed with lots of learning! 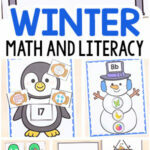 The bundle includes 120 pages of hands-on activities that your kids will love. Many of them include sensory components and fine motor components that will keep the kids engaged and having fun. There are a wide variety of levels and differentiation throughout the pack so that you can tailor it to meet the needs of individual learners. 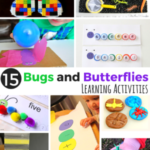 I have a look through all of the activities included in the insect theme pack below! Our favorite way to play is with alphabet dice. Roll the dice and swat the letter that matches. My kids love this version! 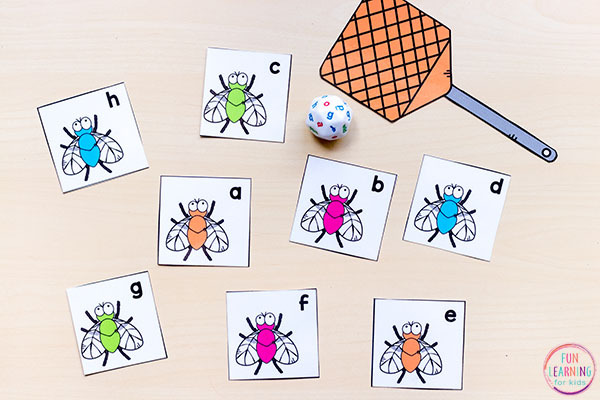 Children can also use the fly swatters to swat the matching lowercase or uppercase letters. 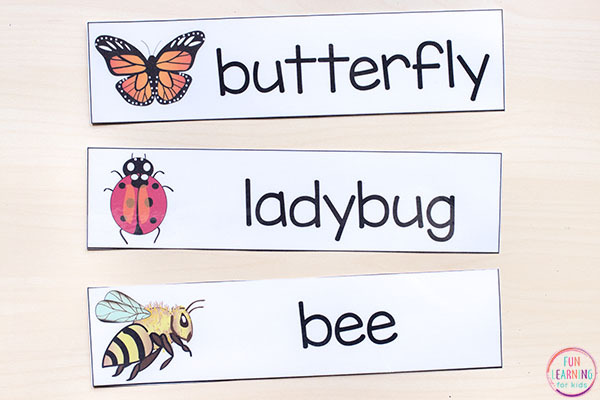 Or use the ladybug letter sounds cards and swat the letter that matches the sound. Children can also build names and swat each letter while saying it. They can even build CVC words and swat each letter while saying the sound it makes in the word. Roll 1 dice and swat the number you land on. Even better, roll two dice, add them together and swat the number. Kids love using the swatters! 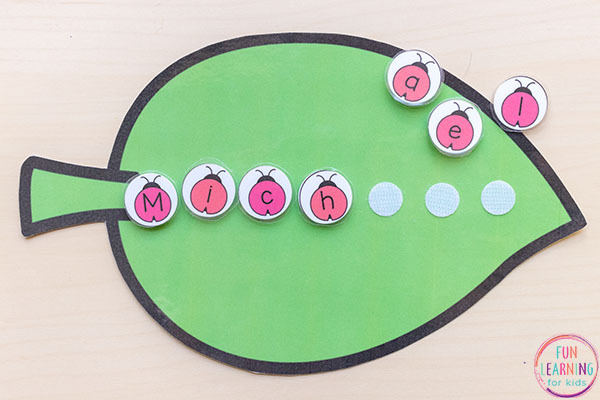 Write names on the leaf with dry-erase marker and kids can build their name by using the alphabet ladybugs on the leaf building mat. We use velcro dots for an added sensory experience. 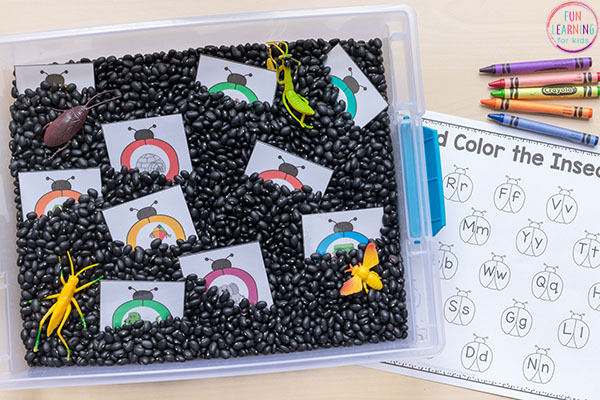 Put the bug beginning sound cards in a bin of black beans, add a few toy bugs and invite your kids to dig in and learn! 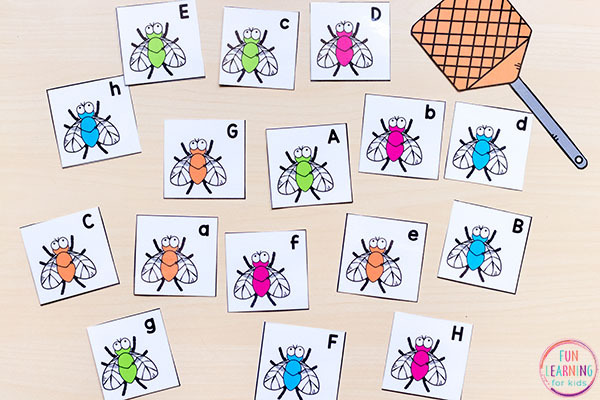 Children will find a card, determine which letter makes the beginning sound, and color the corresponding bug on their sheet. This continues until they find all the sounds! 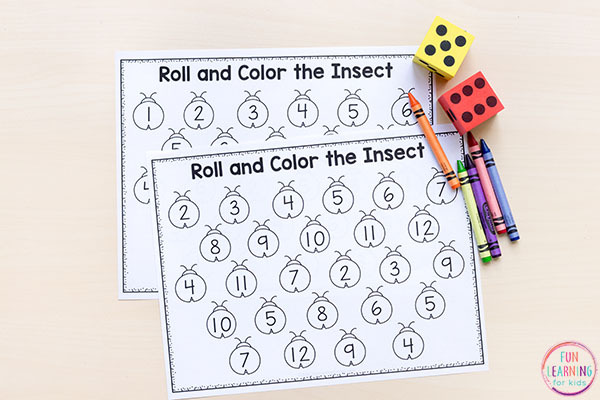 Children will roll a dice and color the corresponding bug on the sheet. Increase the difficulty by using the second sheet and two dice. 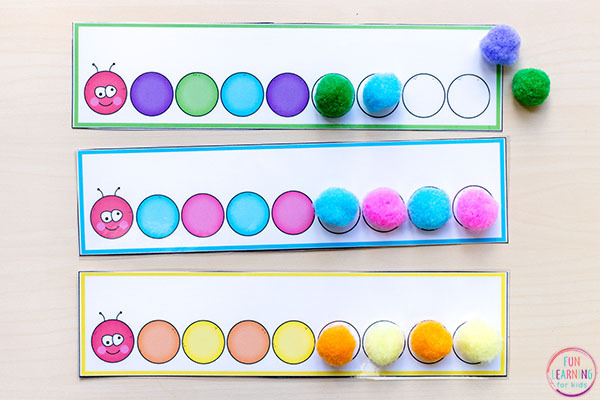 Children will add the numbers together and color the bug on the sheet. 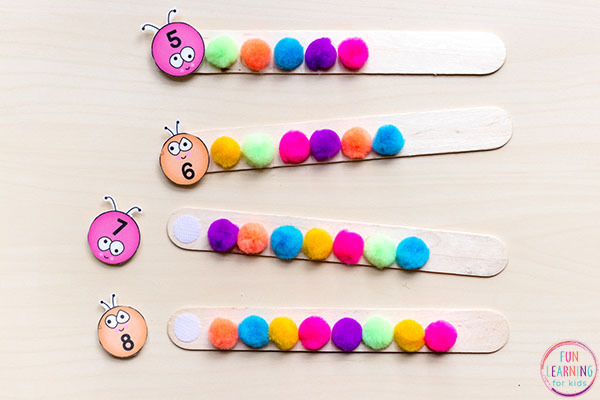 Glue pom poms to large craft sticks and match the numbered caterpillar heads to the correct caterpillar stick. This editable mats make learning to build words so much fun! 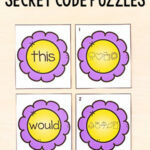 Use them to work on CVC/CVCC/CCVC words or sight words. Type in any words you would like to work on, as long as they are 4 letters or less in length! This also includes almost all of the blends and digraphs. 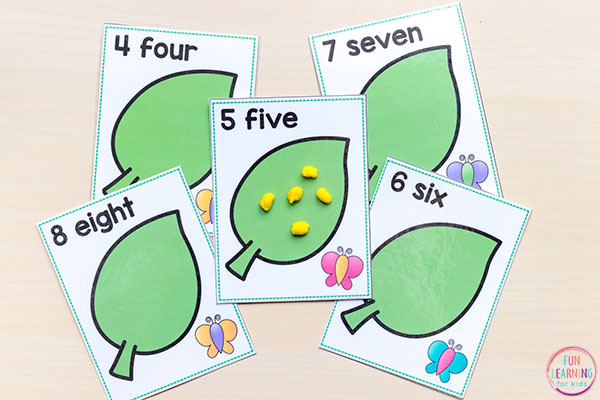 Children will make tiny yellow balls out of play dough (these represent butterfly eggs) and count them out on the leaf cards. Cards include numbers 1-20. 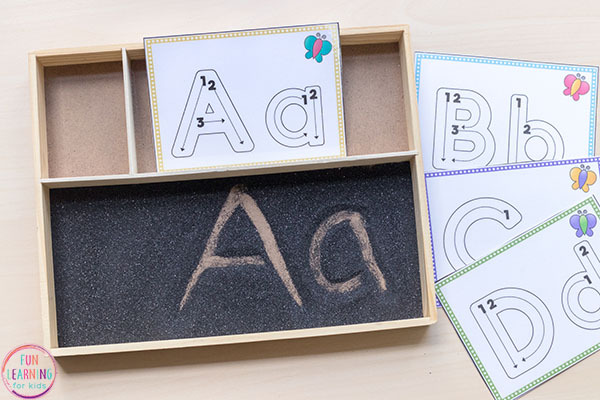 Use these letter formation cards with a sand writing tray. We like to use black sand and include a bug or two. You can also laminate the cards and write on them. 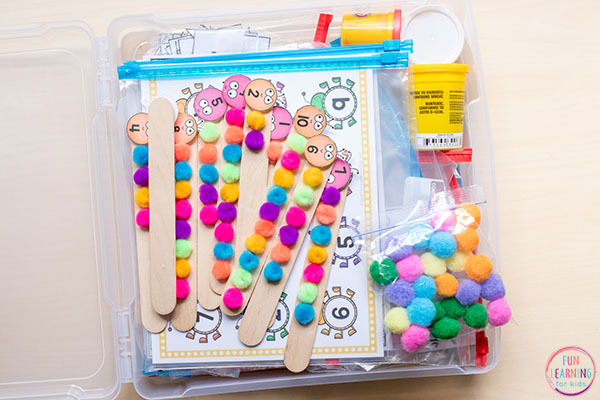 Children will use craft pom poms to complete the pattern on each card. There are many different kinds of patterns included. 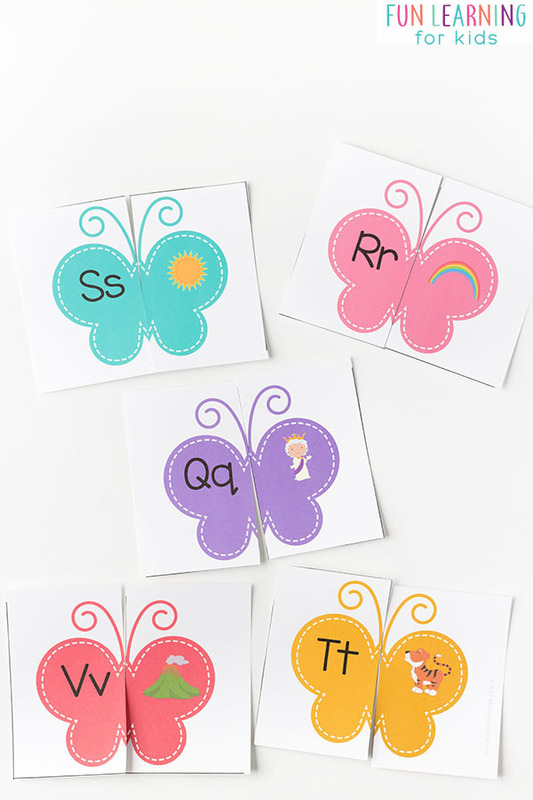 These beautiful word cards can be put in your writing center where children can practice writing words and the letters in them. The realistic looking pictures will really capture their attention! 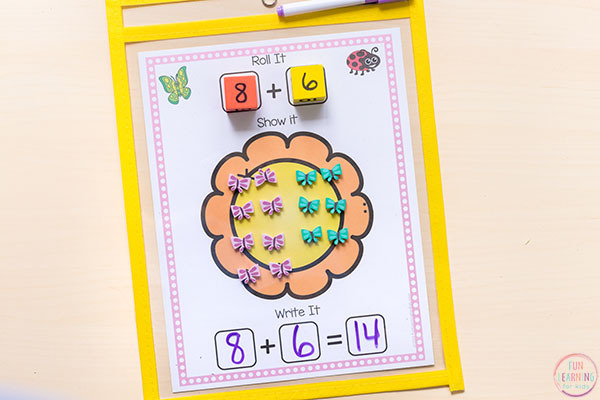 These fun mats will make learning addition and subtraction a fun hands-on activity! Plus, they get added practice with writing equations. 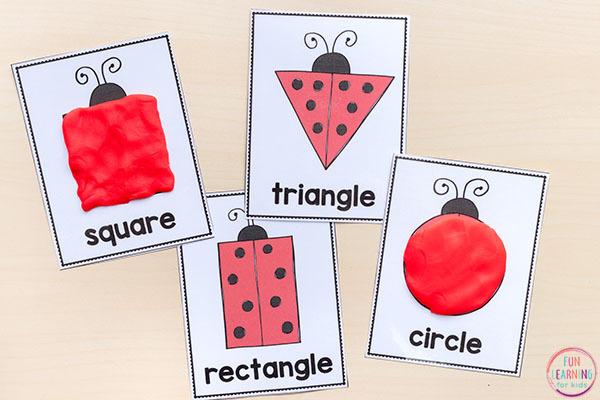 Grab the play dough and invite the kids to build shapes on these awesome ladybug play dough mats! 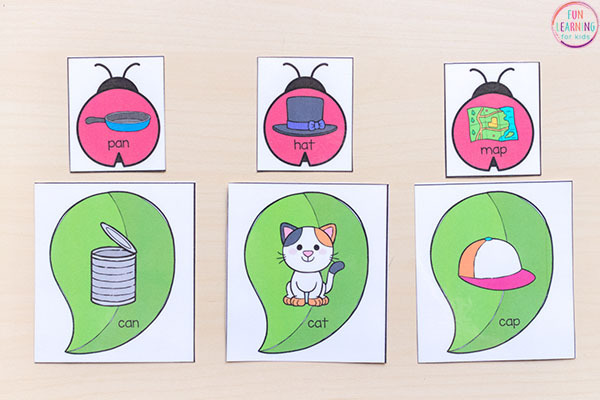 Match the ladybug to the correct leaf by finding words that rhyme! Cards and leaves include a picture and the written word. 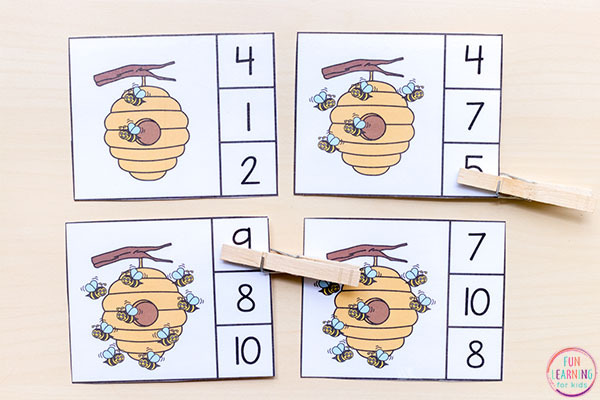 Count the number of bees that are at the hive and clip a clothespin on the corresponding number on the side. 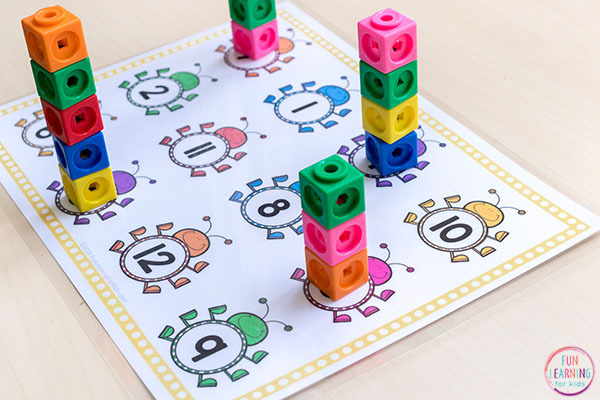 Children will use snap cubes, blocks, or LEGO bricks to build towers that correspond to the numbers on the mat. You can also count objects out onto each space on the mat. For instance, bug mini erasers. 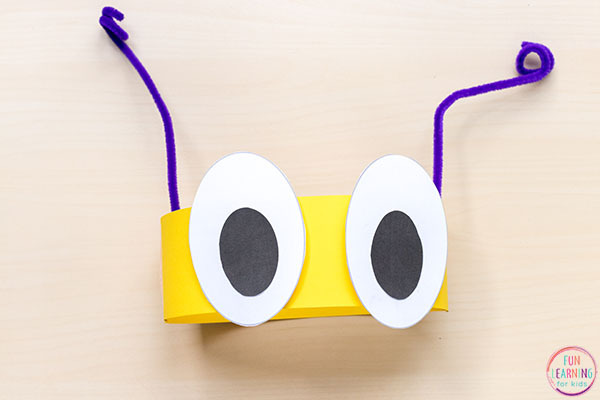 Make a fun bug headband craft with the included templates. Just print, let the kids cut them out and glue/tape them together. Don’t forget the pipe cleaner antennae! 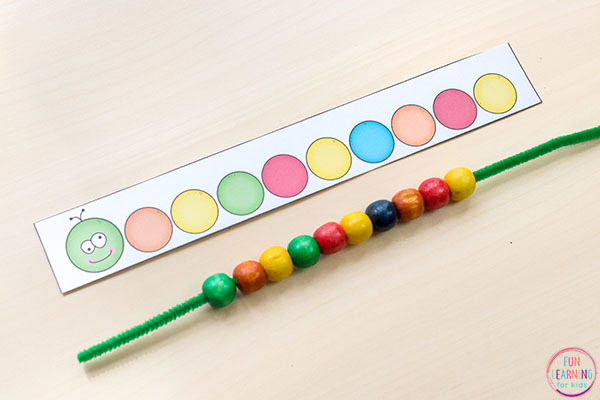 Children will use the task cards as a guide and build a matching caterpillar by threading beads on a pipe cleaner. They can also use mathlink cubes or snap cubes for a different fine motor challenge. Put the magnifying glass portions of the puzzle in a stack. Spread the bug portion of the puzzles on the table. 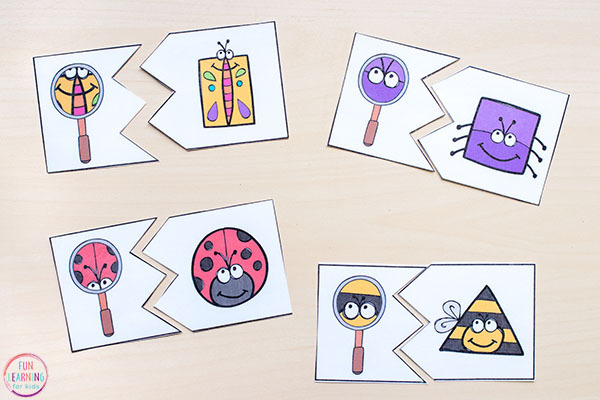 Pull a magnifying glass card and try to find the matching bug on the table. This is so much fun! 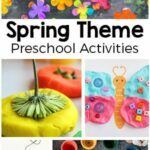 I’ve also thrown in a few popular activities from my spring theme pack! 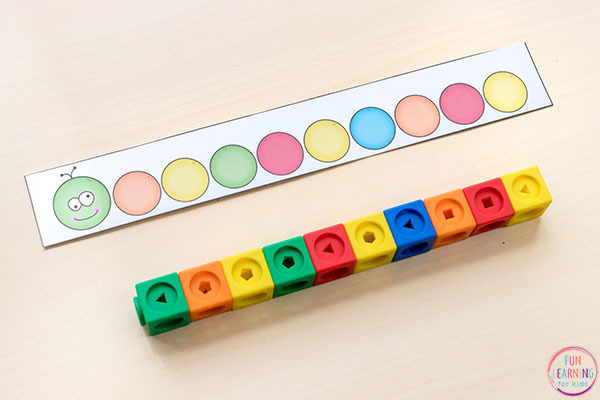 Use dot stickers or dot markers to learn about symmetry! 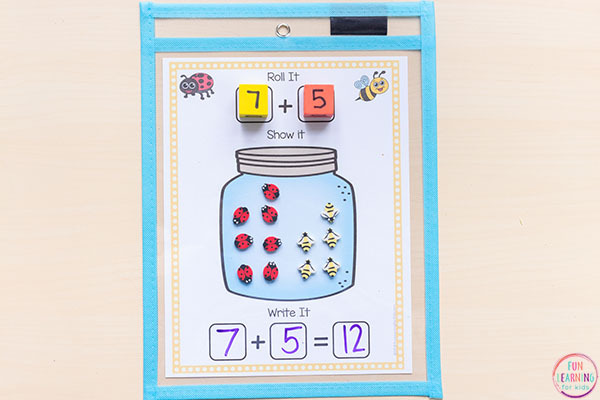 Add insect mini erasers to the bug jars! 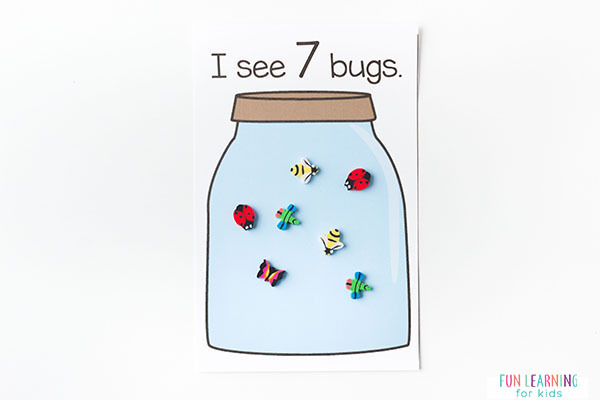 Or play a fun counting game where you roll a dice and add that many bugs to the jar. The first player to fill the jar, wins! 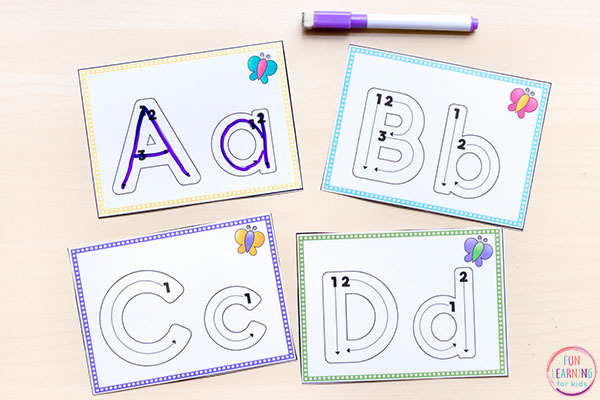 Match the letter to the correct beginning sounds pictures with this fun alphabet activity! Whew! 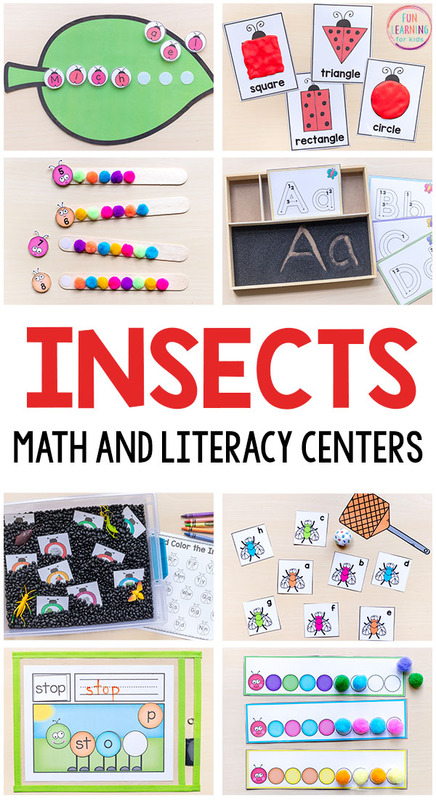 As you can see, this insect theme pack is bursting with fun and engaging activities for your centers and small groups! As usual, I made the printables in a way that limits the amount of cuts you need to make. 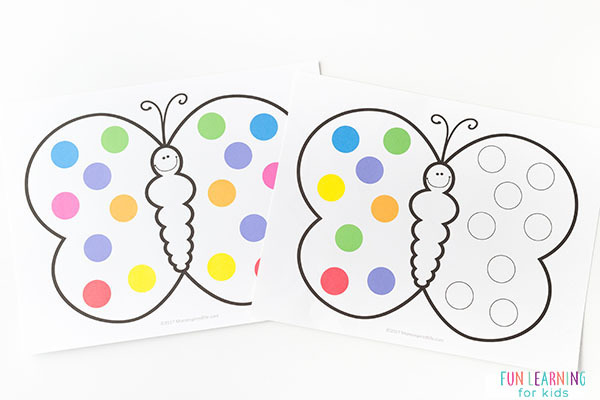 I even sized certain printables so that you could use circle punches to cut out the bugs. Once you have it all set up, you will be set for years to come! 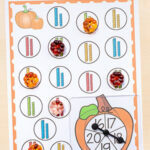 Want to see how I organize my printables and activities? 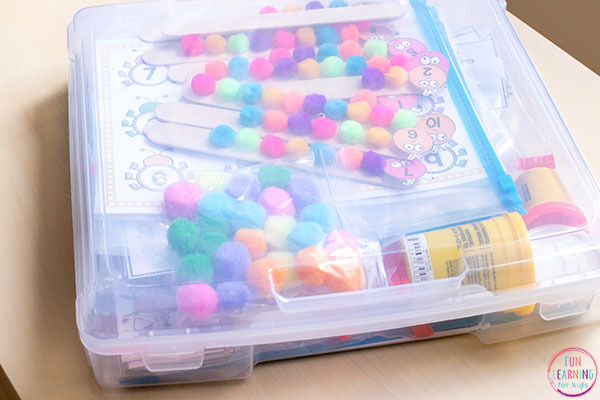 I put each activity in ziploc bags of varying sizes – depending on the size of the printables. Then I place them all in this cases. I also add any and all supplies that I will need to use with them. So the cans of play dough I need are in there, the pipe cleaners and beads are in there, the pom poms are in there, etc. 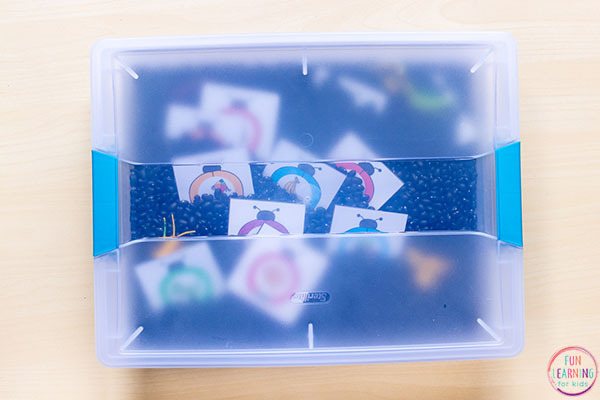 I make my sensory bins in shallow containers with locking lids. This way I can assemble the bin ahead of time and store it easily for future use. I also make my writing tray ahead of time and store it in a bin with a locking lid as well. This way everything is very much grab and go. No scrambling around the morning I want to use them. Hope that helps! 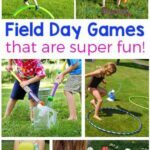 And I hope your kids really enjoy these fun insect activities! !